The quote comes from Pim, one of the transgender persons who was a part of Mitt ID (My identity), a project launched in March 2017 by Aftonbladet- Sweden. In three TV documentaries and a series of articles about gender identity, Aftonbladet focused on a question that has rarely or never been asked in the Swedish media: what is it like to be a young transgender person in Sweden? We described their hard struggle for their right to be themselves, and let this vulnerable and growing group in our society, which for a long time has been forced to fight in the dark, to have their say. When we told these stories, we challenged established norms and gave people insight into and knowledge about the concept of gender identity. Pim, Cameron and Josefine invited the viewers and readers into their reality – and the reactions were powerful. Our audit showed that one in two transgender people has considered suicide, that the number of gender reassignment processes is increasing by 100 percent each year, and that people have to wait longer and longer to get help with their transition. “We can see the patterns in the US and in eastern Europe. When powerful people try to withdraw the rights of other human beings, we have to support those human beings. Or we will never be able to change anything in the world,” says Frida Söderlund, the Aftonbladet reporter who worked on the Mitt ID story. Aftonbladet created a digital platform where all the content was published. We specifically wanted to target young people between 14 and 30, and the platform became an environment in which they felt comfortable. 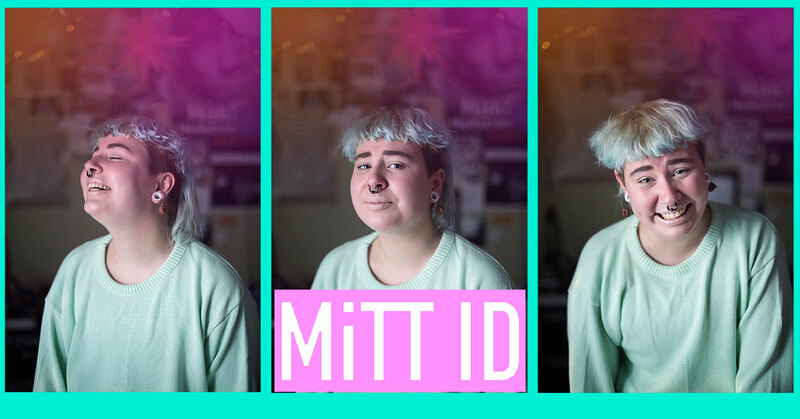 Our users wanted to interact and discuss the subject, and for one week we made it possible for them to engage with experts, transgender people and reporters about the Mitt ID project. We let the question of gender identity dominate our news coverage, and politicians were finally forced to react. They announced that they would try to change the law so that the government can no longer decide the legal gender of individuals. ”We noticed a big change after Mitt ID was published. It was like people couldn’t hide from us anymore and we were suddenly being both heard and noticed at a political level,” said Mia Mulder from the organization Transförsvaret. Mitt ID won the award for Norm-breaking Project at the 2017 Meg Awards.